The Missy Medal Program is intended to recognize students and team members that demonstrate exceptional character! As a member of our local community, we believe it is important to honor individuals that exhibit qualities that make our world a better place. Whether your swimming goal is to be safe in the water or be the fastest in your league, demonstrating Good Sportsmanship, having Passion, Achievement of your goals, Dedication and Kindness are character attributes worthy of recognition. These attributes will be our monthly "themes" starting in January, 2018! "The most inspirational people in my life are those who have displayed the strongest character. We may not all have the ability to be an Olympian, but everyone has the ability to have world-class character. Our “Missy Medals” program is intended to recognize our students that demonstrate exceptional character"
Good Sport: Both winning and losing with grace and humility are character traits we greatly respect. Passion: Passion is having endless supply of love and excitement, especially on days when things don’t go your way. Achievement: Always be proud of your personal best. Celebrate the achievement of your goals! Dedication: On the days that your passion might be running a little low, it’s dedication to your goals, your family and your friends that makes a difference! Kindness: If you can be one thing, be kind. Kindness is free and brightens everyone’s day. 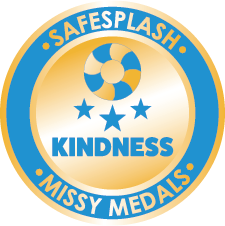 We at SafeSplash swim schools are honored to be partnered with professional swimmer and Olympic Champion Missy Franklin. 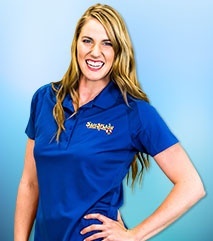 Missy is a member of the ownership group of our parent company Streamline Brands and is deeply involved on an ongoing basis in helping us continue to innovate new ways to teach both basic swimming skills and competitive technique to our students. Missy has long been an advocate for the power of learning to swim for both children and adults. 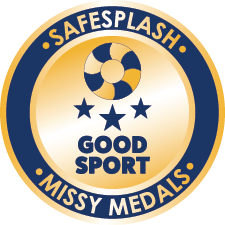 In fact, Missy is also a world-wide ambassador for the USA Swimming Foundation and their Make a Splash program which focuses helping kids get exposed to the joy of swimming and the self confidence and pride that results from learning a life skill. We are thrilled to have Missy as a member of the SafeSplash team. Her involvement is a key piece in helping us continue to ensure our proprietary curriculum is the best in the industry. It is one of the things that makes our swim schools unlike any other. And our customers certainly think so as well...teaching over 7 million lessons a year is an amazing vote of confidence from our customers. Look for Missy around our facilities. She loves to spend time in the schools and annually finds time to hold events and clinics when her schedule allows. Raised in SafeSplash's home of Colorado, Missy's love of swimming began in early childhood. She credits her mother with her early start, as she wanted Missy to learn to swim at an early age due to her own personal fear of the water. Missy began infant lessons at six months old. Her parents soon noticed she had a gift for swimming and decided to put her in private lessons at the age of 5. Missy's letter to her parents about their support of her career is fantastic. After much success at the club and high school level throughout her childhood, she went on to achieve success on a much bigger stage. At the young age of 17, Franklin competed in the 2012 Summer Olympics in London, finishing with 5 total medals (four gold and one bronze). She is the current world record holder in the 200-meter backstroke and the 4x100-meter medley relay. Franklin is also the most decorated woman to ever compete at the FINA World Championships with nine career gold medals. Missy Franklin's success at the 2016 Olympic games in Rio with her gold medal performance in the 4 x 200 freestyle relay makes her a 5-time Olympic gold medalist and we are so proud! Click here to read the press release about our partnership! Besides SafeSplash and USA Swimming, Missy Franklin's other key brand partners are Speedo, Visa, Minute Maid.